The Analogue Alarm Monitor M3000 is a versatile alarm panel with 24 inputs. The inputs can be configured individually for dry contact (NO or NC) inputs or analogue inputs. Analogue inputs can read measurements from i.e. temperature sensors TC or PT100, pressure sensors, flow sensors, etc., through 4-20 mA or 0-10 V DC transmitters. Up to 48 alarms can be configured with individual reference to any of the 24 inputs. 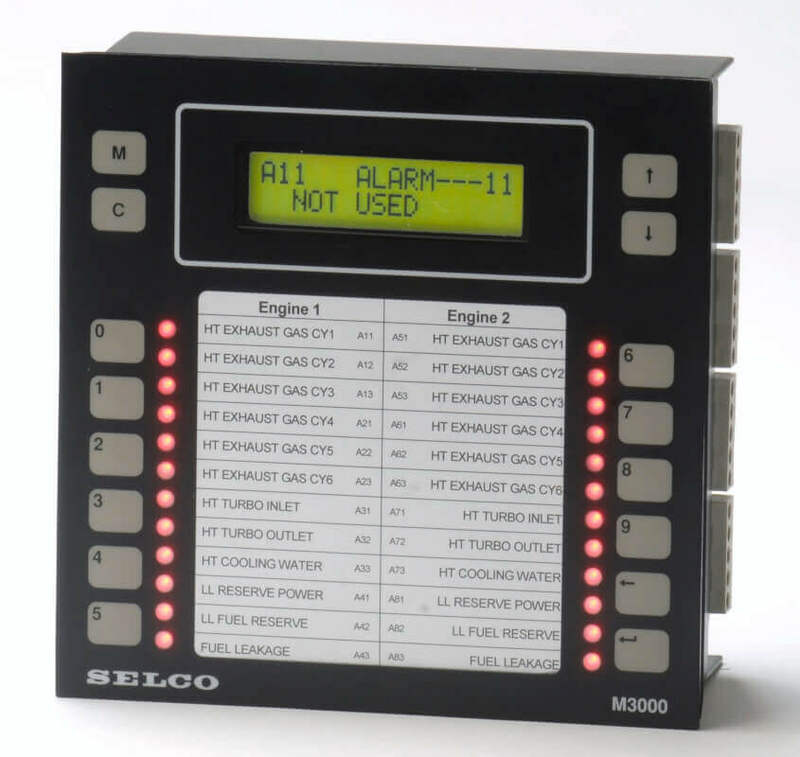 The SELCO M3000 is a compact 24 channel Analogue Alarm Annunciator. The M3000 is ideal for surveillance of temperature sensors, pressure sensors and any other kind of sensors providing a signal within the range of 0-20 mA, 0-10 VDC or 0-30 VDC. A linearly pre-scaling is done in order to convert the measured input voltage or current into the entity measured by the sensor (e.g. temperature or pressure). Once this conversion has taken place, all further references are made to the measured entity.